So I’m on my first bottle of reload, but am close to running out. I have mixed reviews on it. Gloss and ease of use is awesome. It’s hydrophobic properties not so much. I’ve applied after putting on polish with a DA. let it sit over night, and wipe down with some Eraser and finally apply reload - lasted maybe 1-2 months. I’m looking for a better product that has more sheeting/beading properties to it then reload does. My mom currently uses Adams gloss and guard and it works better than reload. I personally don’t like CG or Adams products. What other options are out there? Feel free to link other posts regarding this topic. Didn’t see anything under a quick search for reload. I bought my first bottle of Reload about one and a half months ago, since the recent releases of DPC Armor and Mothers CMX, I wish I hadn`t purchased the Reload. However, since I have that bottle of Reload, I have to use it, I cannot come to throwing it away. From Apex Detail`s reviews of the recent "spray on coating" reviews, TAC Moonlight and Mothers CMX seem the most coating like. DPC armor is around 10% sio2 and is dilutable making it more versatile. Never used. The two I’ve decided to use are Polish angel cosmic spritz (crazy expensive but awesome stuff) and shine supply Clutch. Clutch is around 10% sio2 but recommended to wipe on and leave for 15 mins to hours to “bond” I think it’s got great gloss and hydrophobics but only on the vehichle couple of weeks. Kamikaze overcoat (expensive) and IGL PREMIER also awesome products and loved by many. You can find info on any of these by just using search and looking up by name. Not too much info on Clutch or DPC armor. Plenty of offerings from Autogeek brands (the Blackfire sio2 I hear around most. My recommendation for ease and simplicity if not willing to use full on ceramic coat, gyeon Cancoat. Couldn’t find a bad review about it. Maybe top with one of the lighter spray toppers to maintain every few months. Just my 2 cents. Have fun and enjoy whatever you use. I’m going to take this opportunity to maybe help the OP while helping myself. I see two categories, coating lites (higher SiO2 content and lasting up to 6+months) and SiO2 Spray sealants (lower SiO2 content, lasts maybe weeks to 2 months, used as more of a refresher or booster. I’ve done my best to categorize some popular choices below but am not guaranteeing accuracy nor have I used them all. I hope feedback comes back if anyone disagrees. I’m not including the rinse off products.There’s obviously not a clear boundary between the two categories, so those that are really grey to me, I have noted as such. I also included a few Polish Angel sprays that have plenty SiO2/TiO2 but also contain carnauba. I’m sure there’s many products I missed, so feel free to respond with those for the OP! If you`re looking for hydrophobic happiness, Kamikaze Overcoat. PA Cosmic Spritz is just a bit behind that, has a bit more `bling` in appearance. 22ple VS1 is very nice as well, bit slicker than the others. IGL Premier very good as well. In before the Beadmaker hype...fun stuff but water behavior lacking. As far as classifying them, the only true `coating lite` products in my mind are Gyeon CanCoat (the original coating-lite), TAC Moonlight, Mothers CMX IF it holds up...and I`ll abstain on IGL Premier as its original intention was a stand-alone I believe and it is one heck of a product used in that fashion but not sure if it`s a coating or not. All the others, in my admittedly addled mind, began as toppers/boosters/complimentary concoctions that later morphed into stand alone`s through updated product descriptions and labeling. I think that all started gaining momentum when HydroSilex first arrived with a label stating it was a `coating`. The spray and rinse SiO2 products like Gyeon WetCoat, Nanolex Washcoat, HydroBlue are an entirely different product class to me, more akin to SiO2 fortified shampoos like Gyeon Bathe+, McKees SiO2 Wash and similar. Kinda like the `ol Wash-n-Wax shampoos with gloss enhancers and polymers mixed in to car wash soap. For all the claims coming out with these new SiO2 sprays ("Revolutionary...", "Only product of its type..." and similar) well, Gyeon`s been doing it for quite a while with CanCoat and until you topple the champ, it`s all just marketing. ^^accidentally disliked above despite enjoying your post. Sorry Budget! I can agree with your assessment of coating lites, and it’s not like these “categories” matter, it’s just something I like to do to keep the many products out there organized in my head and to remember comparables. 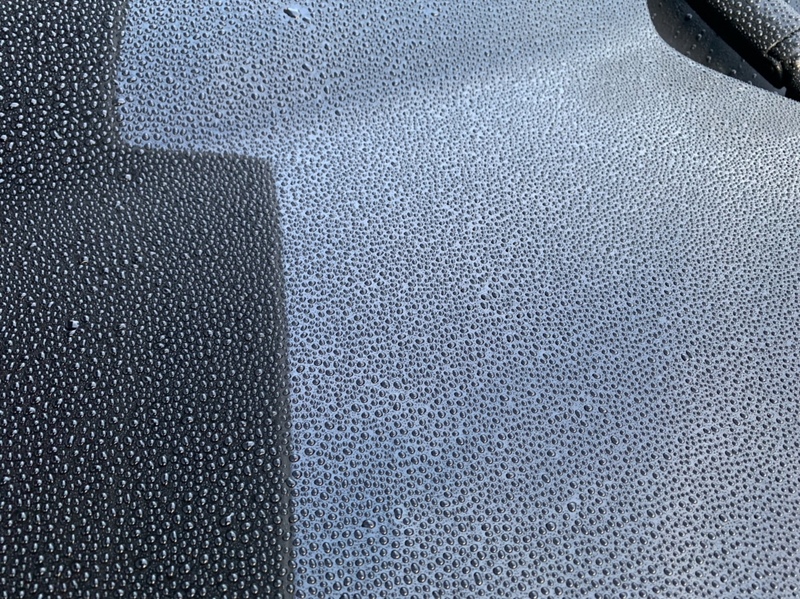 With that being said, I would keep IGL in my coating lite category as it’s description states it’s a water based silica coating, and at least the Autopia description talks a lot about being compatible as maintenance for coatings. The durability is great from what I hear too. I will move the PAs and Kamikaze out of lites and into SiO2 sprays... definitely some of the prettiest and hydrophobic regardless of my made-up categories! Feynlab Ceramic Spray Sealant--great price but have not tested beading yet. Very slick. Claims 6 month protection. If it not has to be a spray protection. I would add Polish Angel Master Sealant with the prep with esclate lotion you get a very great look on most paints. For maintance and top it up a little you can go with PA Rapidwaxx or PA High Gloss or both to mix it up every month or so. You mentioned you had a polish on over night. What polish was that? Great listing of different Sio2 products above. Would add Tac System Quartz Max. Quartz Max is very like the first version of reload if not even the same. That did many like the Reload first version. And Tac System was the manufacture for Carpro coating products until they started their own line of products in 2015 IIRC. The rumor says they did or still do products for Gyeon too and maybe some of the Carpros coatings. I am not hundred procent certain that they manufactures for them still. But many of their products is very good and at a good price. They have also started to release new abrasive technology that claims to be very effective. I have the Tac System Refinish Ultra which is a one step compound that can cut p600 sanding marks out on soft to medium hard paints. They just released the Refinish Ultra Plus which is another new abrasive technology that is for hard clearcoats. They also have a sealant application like Sio2 product like Moonlight that is called Ceramic Coat which seems to be in the 6 months longevity range. That alone gave a great shine a lasted from September up until recently. Being a beginner I was happy with that product. If you want to continue useing essence. The coating lite products listed above is very good on it. Some also like the essence twins essence topped with essence plus and then maintance with something like Carpro Reload. And don`t be afraid of useing a full blown coating like CQUK 3.0. The new version says to be easier to apply. Just top it if you will sometimes or let it do it`s thing and wash with carpro reset or Ech2o. I really wanna do a car longterm with Master Sealant + Rapidwaxx. It has such a nice look (and feel) to it and in the limited time I had with the car done with it, beading and water shedding was superb. So, so easy to use as well. Have a new car coming, will be fully wrapped in PPF. Not coating it and pondering using Master Sealant and/or Rapidwaxx to maintain. Yeah I`m eager to use the Esclate Lotion and Master Sealant combo that I have at home on my car when spring comes. Did not been able to apply it the last year was frustrateing to say the least LOL. 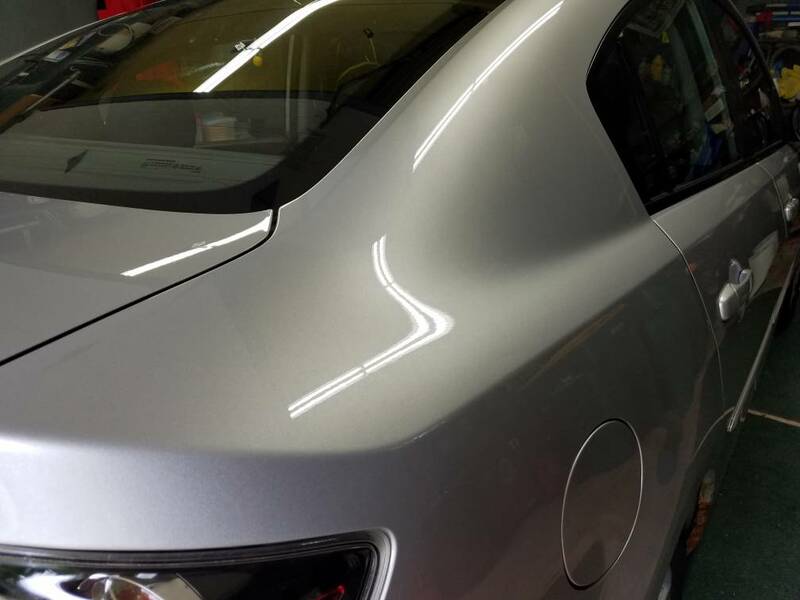 Since I have a Kia cee`d SW with a silver metallic paint I went with High Gloss to apply it down the road. Think it will make a great combo on a silver metallic paint. And hopefully I can share the finished results in mars or april. Maybe I need to do it a couple of sections at a time. The nerve damage in the lower back and neck has been acting out since autumn. So hope for a little energy and lower pain levels so I can correct it and apply the Master Sealant combo. Going to look into cancoat and IGL. Thank you all for the input! Mother’s CMX is replacing just about everything in my arsenal of coating maintenance products. I’m getting ready to mix some CMX with ECH2O to make a longer lasting QD. I’ll keep Premier, the Polish Angels, and Overcoat but the rest of the others may gather dust or get donated. Mother’s could have charged twice as much for CMX and it would have been worth it.